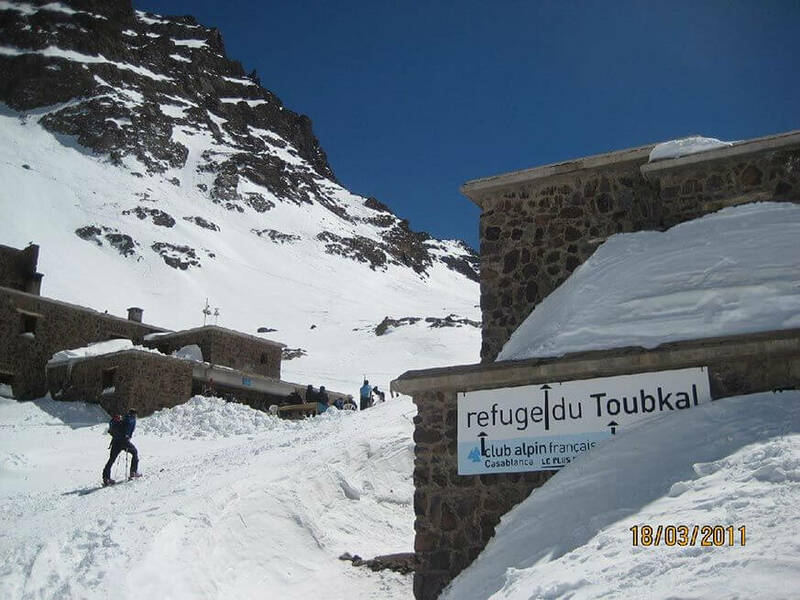 Climb the highest peak in North Africa and Morocco the summit of Toubkal. 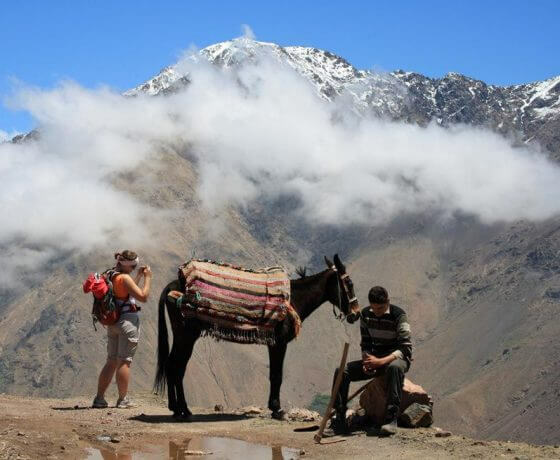 Enjoy stunning views and spectacular Morocco Atlas Mountains. Tips & Gratuities are at the guests discretion. 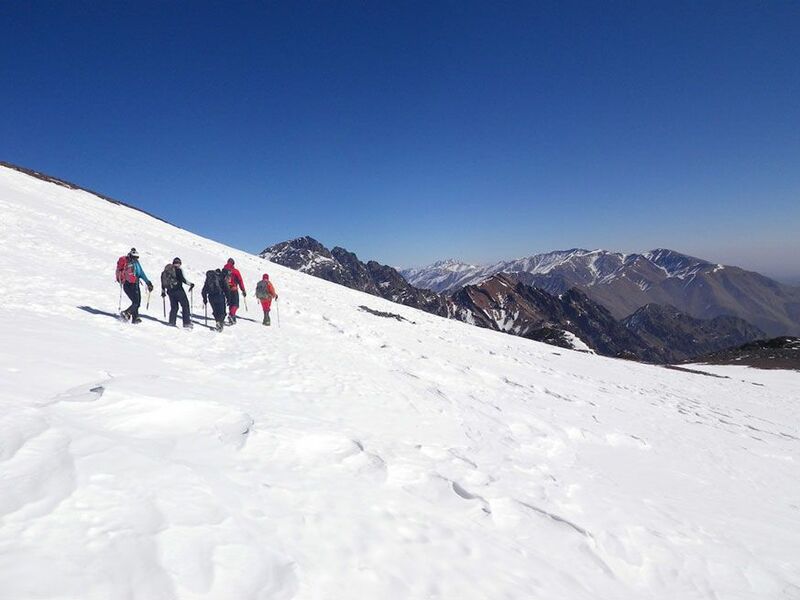 Mount Toubkal is the highest peak in the Atlas Mountains Marrakech and we are going up to it on this two-day adventure. It is not for solo travellers and every booking has to have a minimum of two persons. 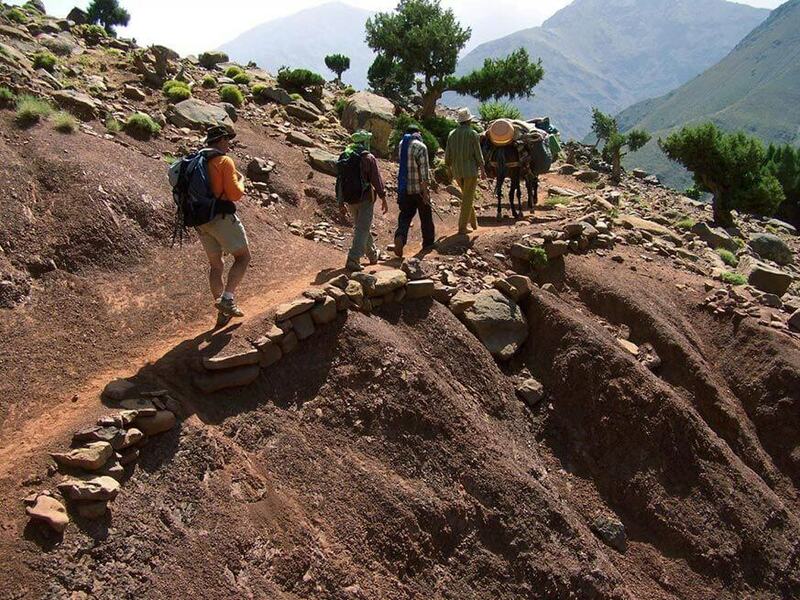 The trek will be guided and the expedition will be driven from Marrakech to a small Berber village, Imlil, where the real adventure in the Marrakech mountains begins. Our guides will be able to communicate in French, Spanish and English (as well as all the local dialects). 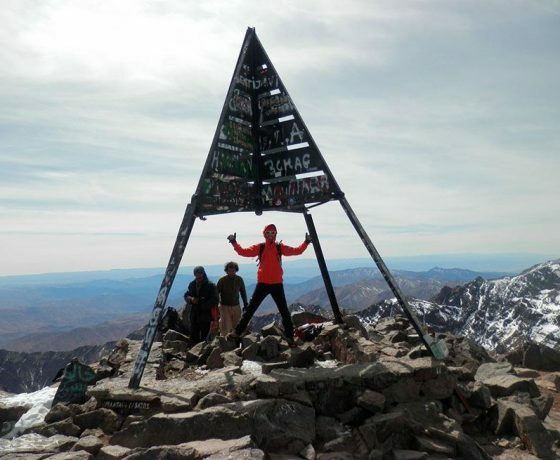 You don’t have to be a mountaineer to join this trek but you will need to be physically fit. In winter, there will be snow. Therefore crampons and ice picks will be needed. We can supply these for hire on the spot. 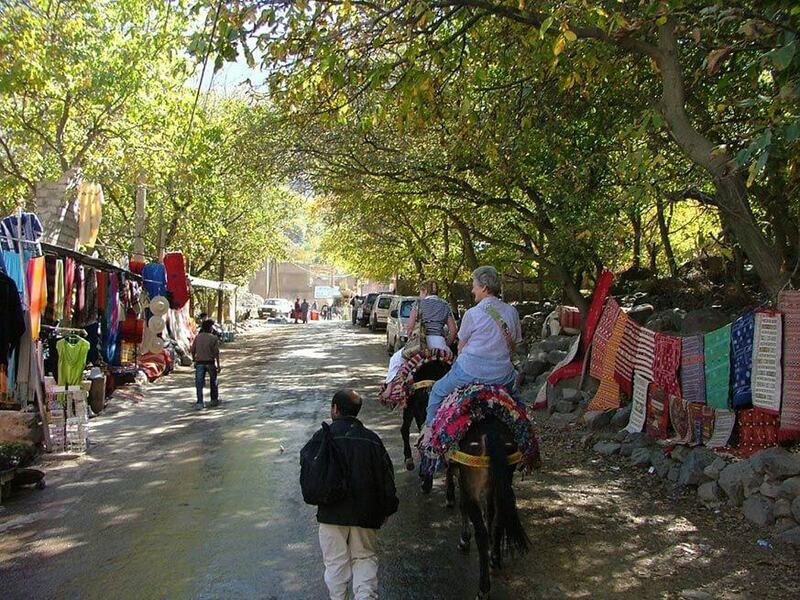 You will be picked from your hotel or hostel for our driver to leave at 8.00 am sharp, so we can all head for Imlil. After the booking process you will be told of your collection pick up requirements. However, you should be set to be ready by 7.00 am. 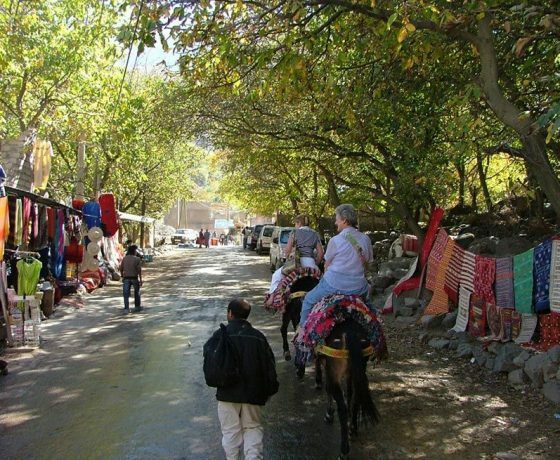 Imlil is a Berber village, located in the foothills of the Atlas Mountains Marrakech. 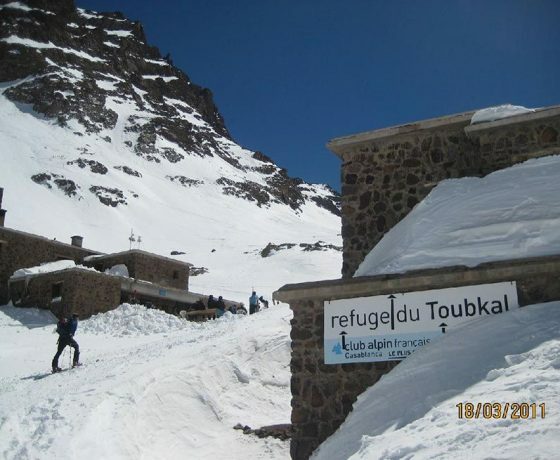 It lies 1740 metres (5,700 feet) above sea level and is situated about 65 km (40 miles) south from Marrakech. It is here, on day one that your trek shall begin. 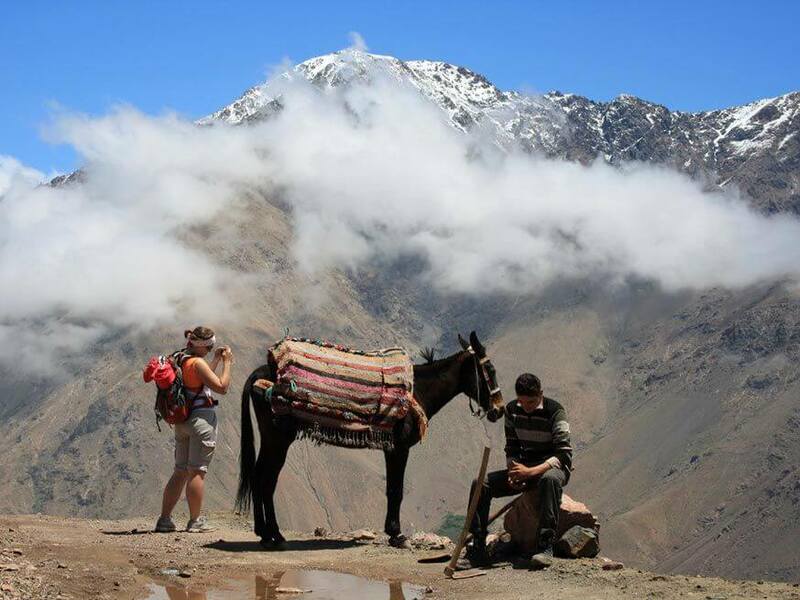 Muleteer crews will meet us here and they will take care of your baggage, food and any other necessary belongings you have brought along. 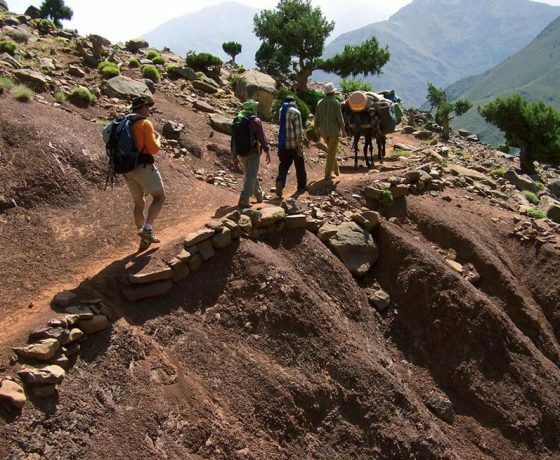 The experienced mountain guide and tour official will take you on a trek initially starting with a number of small Berber villages. We shall pass the mountain shrine of Sidi Chamharouch. By now we will be well over 8,000 feet above sea level and within distance of our mountain hut. We will stop for a picnic lunch, prepared beforehand by our cook and take a short break before moving up through the mountain. At 10,500 feet above level there is a refuge where you can enjoy a tasty mint tea, a nice hot shower to wash away the dust and rest in preparation for the next day ahead. In the summer months there may be an option to use the tents to sleep in at night. In the morning, regardless of the season, there is usually a powerful sun and a breakfast served to our trekkers at 5.00 am. The early start is necessary so we can begin our ascent up the mountain by 5.30 am. Most of the climb will be uphill walking, which should take around four hours to complete (including a short break half way up). You will be fed nuts, oranges and water and see all the distant views and splendid sights the higher we ascend. Once up at the summit you will be able to rest for around 45 minutes before we take the same route back down. 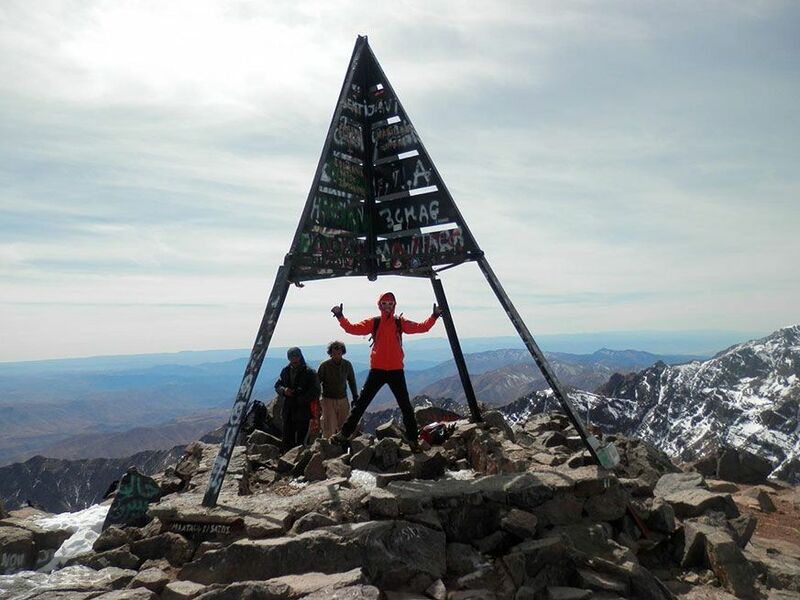 Here you can take photographs and enjoy being on top of the highest peak in the Atlas Mountain Marrakech range. Upon our arrival back in the hut, we’ll have lunch then follow the same hike back to Imlil. From here we drive you back to Marrakech. Service Guarantees : This Atlas trek includes service guarantees. Cost per Adult: €139.00 contact us for group discount pricing.